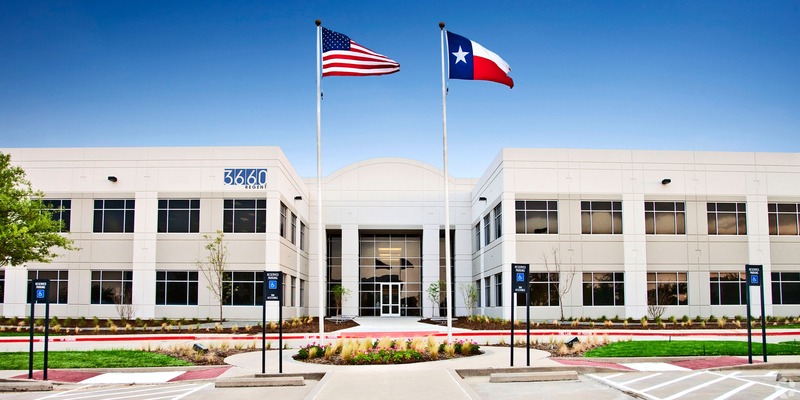 In a Dallas area investment buy from a month or so ago, a partnership of Stanton Road Capital LLC and Vancouver-based Second City Real Estate purchased a 159k sf office building at 3660 Regent Blvd, in the city’s Freeport submarket. The property was sold by Persis Corporation for about $20 mil ($126/sf) in an off-market deal. Developed in 2000, the two-story property was originally a build-to-suit for Ford Motor Credit, which occupied 100% of the property until 2008. In 2009, the property was converted to a multi-tenant building and is currently occupied by four national tenants, including Ford Motor Credit, Aviall and MetLife. It was fully leased at the time of sale. The Dallas-based Cushman & Wakefield team of J.J. Leonard and John Fancher will serve as the leasing agents for the property. Cushman & Wakefield will also provide property management services for the building for the new ownership.